Westin's Axis HP LED Auxiliary Lights come in a round or square housing and feature nine (9) 3 watt Osram LED chips for a total of 27 watts, and produces 1,500 raw lumens with a peak beam itensity of up to 28,000 for spot beam. The housing (4.75" for round, and 4.5" for square) is made of die cast aluminum alloy and feature a Lexan polycarbonate (PC) front cover. 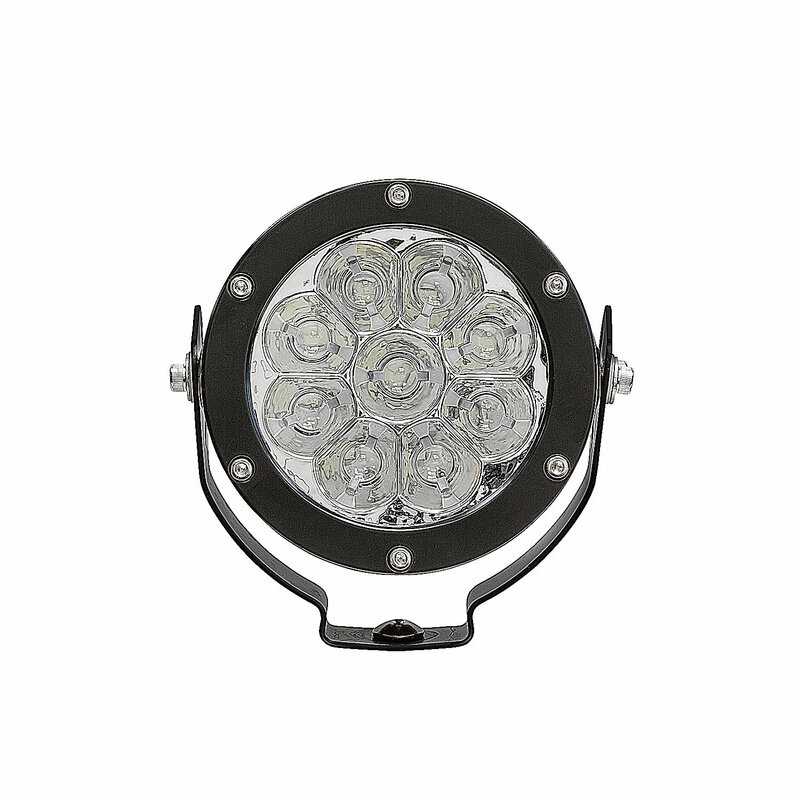 Available in spot or flood light light beam options. 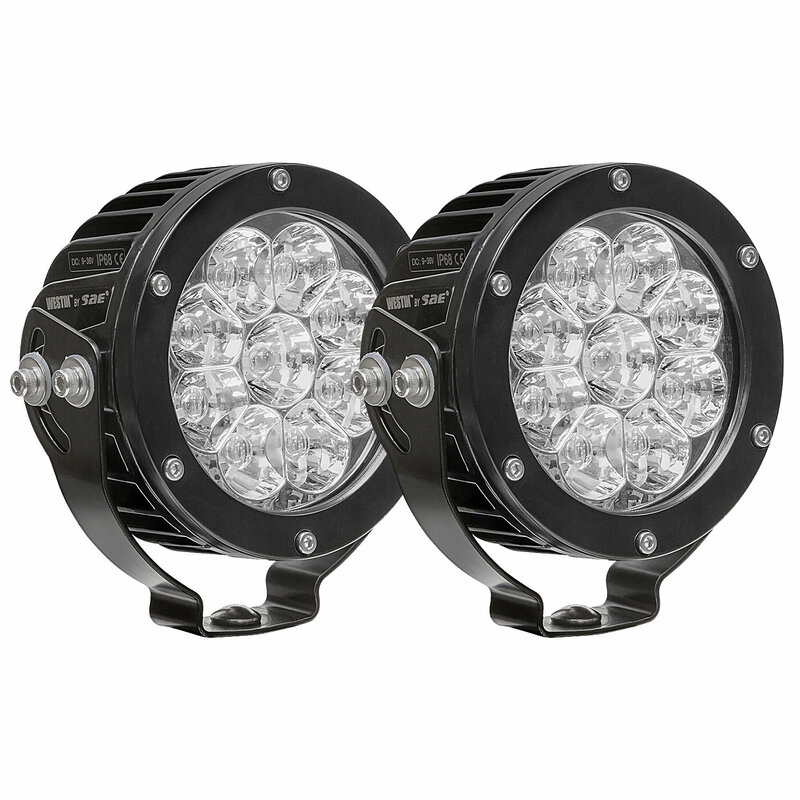 Westin's Axis HP LED Auxiliary Light features a high quality powder coat finish, are rubber sealed and are IP rated at 68, include a gore pressure-equalizing vent, and have a shock proof, shatter and scratch resistant polycarbonate lens. They run on low amperage and produce zero UV emissions. Wiring harness with connector, switch and in-line fuse, and hardware are included.